One may argue that there is no greater display of school pride than the championship banner hanging from the rafters of your gymnasium. 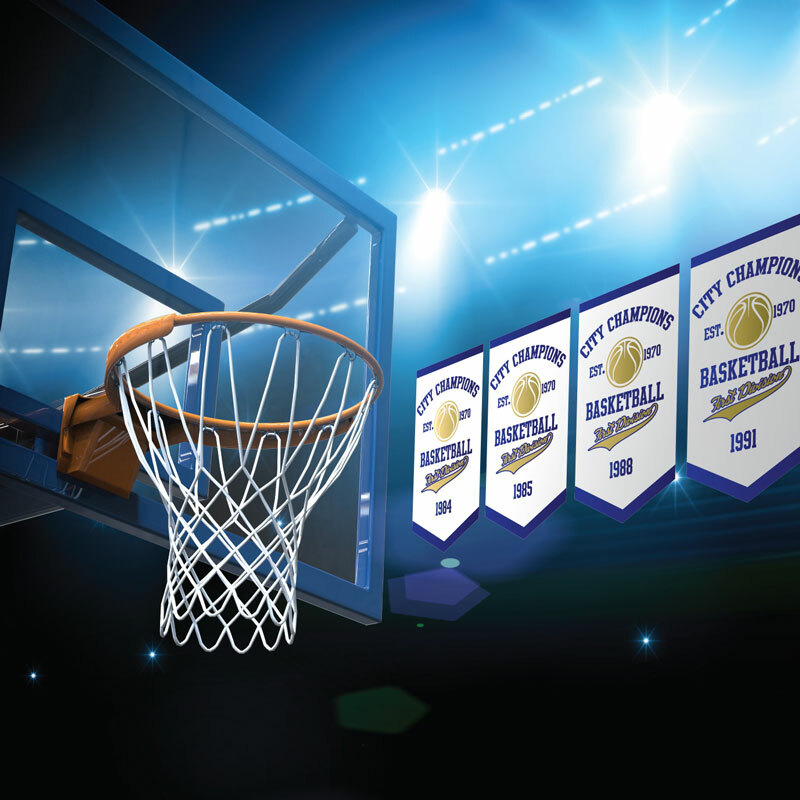 Banners are a display of strength and past success that inspire teams to follow in the footsteps of champions. Fully customizable, and digitally printed, we can create a modern or traditional banner that suits your environment’s style and colours.